All reviews are the subjective opinions of third parties and not of the website or its owners. Reviews are placed by members of the public that have held a function or event at The Commonhall St Social. 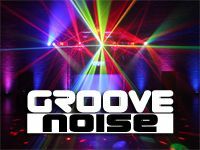 At needadisco.com we only accept reviews from confirmed clients that have booked a DJ to play at The Commonhall St Social via our website, with the arrangements independently verified by both the DJ and the client before the event takes place - no "fake reviews" here! Helpful information for DJs and entertainers visiting The Commonhall St Social provided by trusted members of needadisco.com. PARKING: There is no on-site parking but plenty of free street parking nearby. Stop next to the front doors to load in then move to a side street. ACCESS: From the van, carry the gear through a single wooden door into the bar area. Turn right and set up along the far wall. Pretty straight forward. FACILITIES: No stage but the set up area is quite obvious. Not much gear needed for this one as it's just a small room. Spot and laser lighting does the job. STAFF: Very friendly, polite and happy to help. There doesn't seem to be any defined last orders or music off times. They are very relaxed - great staff here. ADDITIONAL COMMENTS: "This is a quaint little public house in the middle of a small countryside community. Everyone knows everyone and when they have a party they just invite the whole village along! 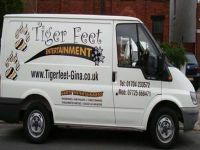 Great people, brilliant community and a very nice established suitable for any event." Information is based on enquiries and bookings handled via needadisco.com so whilst it's a great insight, if you have any questions or concerns about holding a function or event at The Commonhall St Social please contact the venue. The Commonhall St Social has previously been hired as a venue for private parties such as birthday celebrations, anniversaries, engagements etc. The Commonhall St Social has previously been hired as a venue for functions and events such as sports club social evenings, masonic events etc. The Commonhall St Social is in our Pubs, Bars, Clubs & Restaurants category. The map below shows other local venues in the same category.